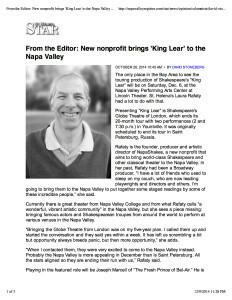 A production that had brought to Napa Valley not just two Englishmen who are two of the finest living actors, well, in the world, but the Folger Consort, a dazzling collection of talent from Washington, D.C. …To hear Jacobi read the lines of the wicked Angelo … was something I never expected to experience in this lifetime, let alone in Yountville. 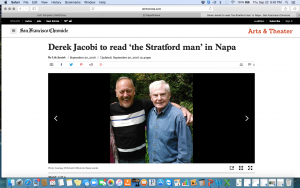 SF Chronicle’s Lily Janiak elicits a delightful confession from the man she calls “one of the greatest living actors in the English-speaking world”: Derek Jacobi. 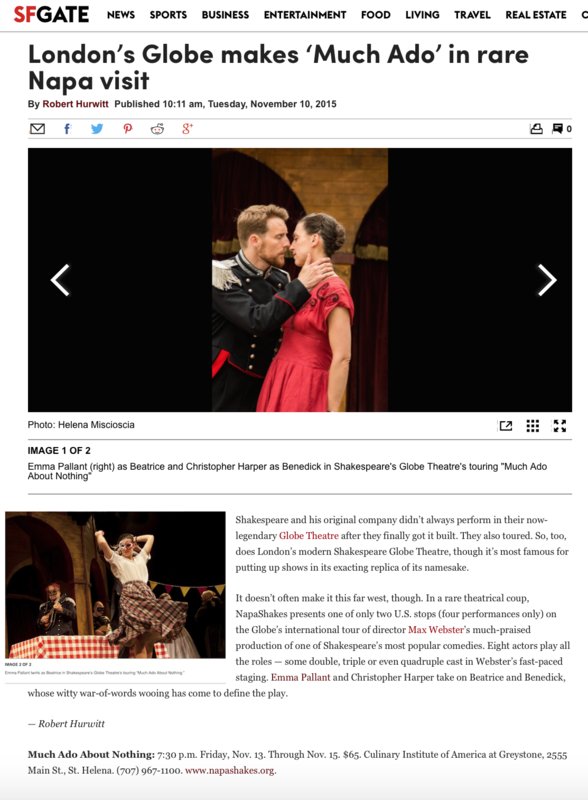 “Sir Derek Jacobi has performed the part of Angelo, the lecherous, duplicitous deputy in Shakespeare’s “Measure for Measure,” only once before.… In 1958. “Last weekend, eight actors and a crate of oranges in a dimly lit old room provided magnificent proof of the power of theater. On tour (troupes travel internationally), they bring with them the merry, audacious spirit of of the day. 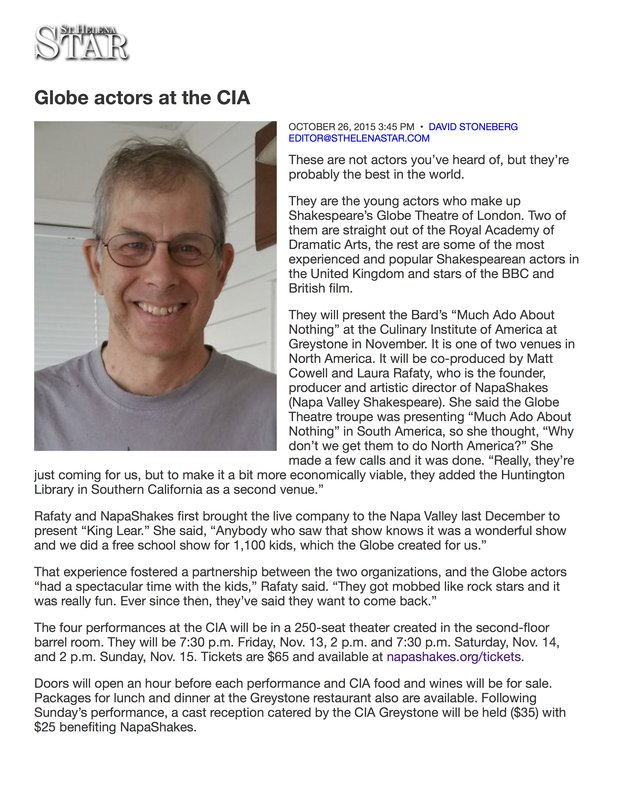 They also bring their own set, not more than a doorway with a curtain, behind which are their costumes, musical instruments and minimal props (the crate of oranges). 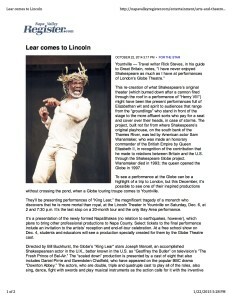 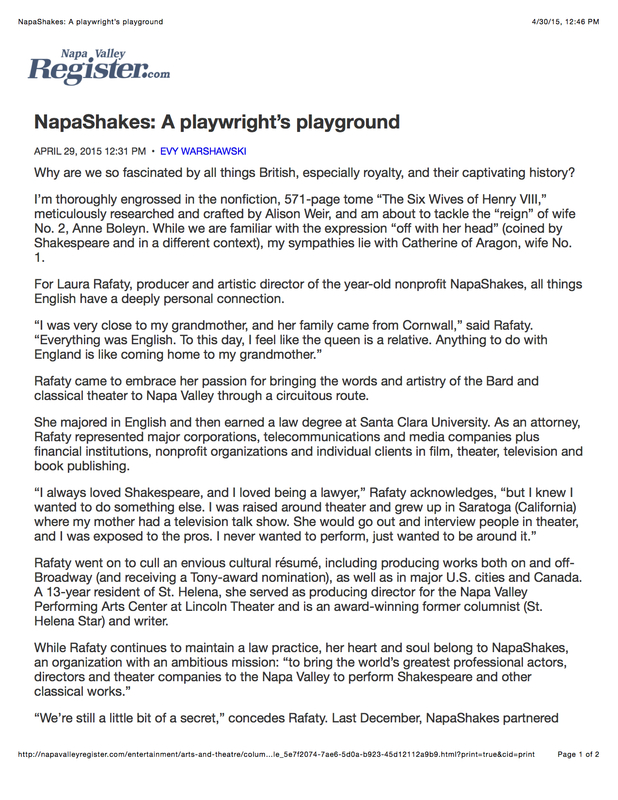 It’s Shakespeare as it was done in his day (so we can imagine), and it’s wonderful. 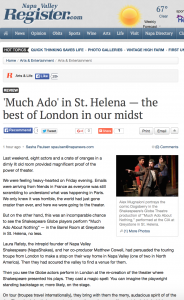 … The simplicity of the setup is all the more reason the players have to be brilliant. 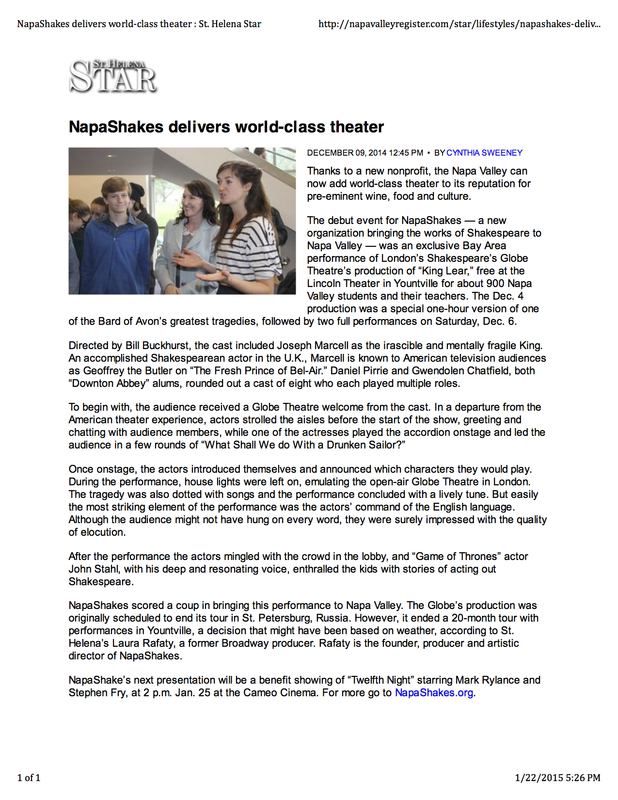 And they were. 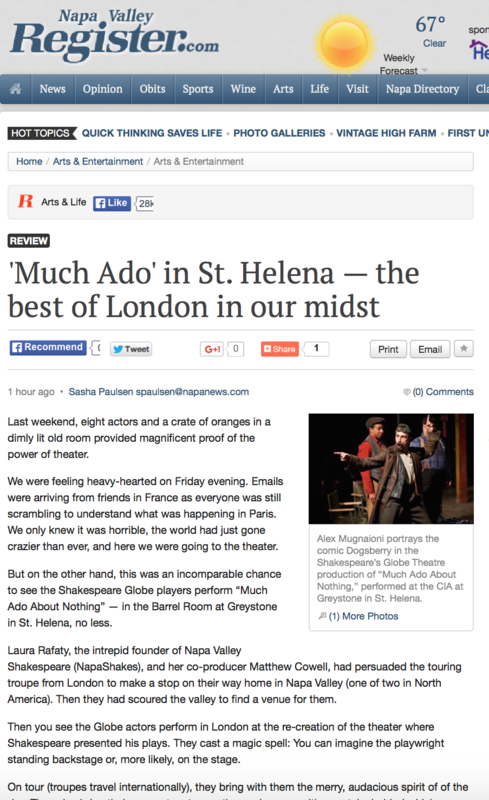 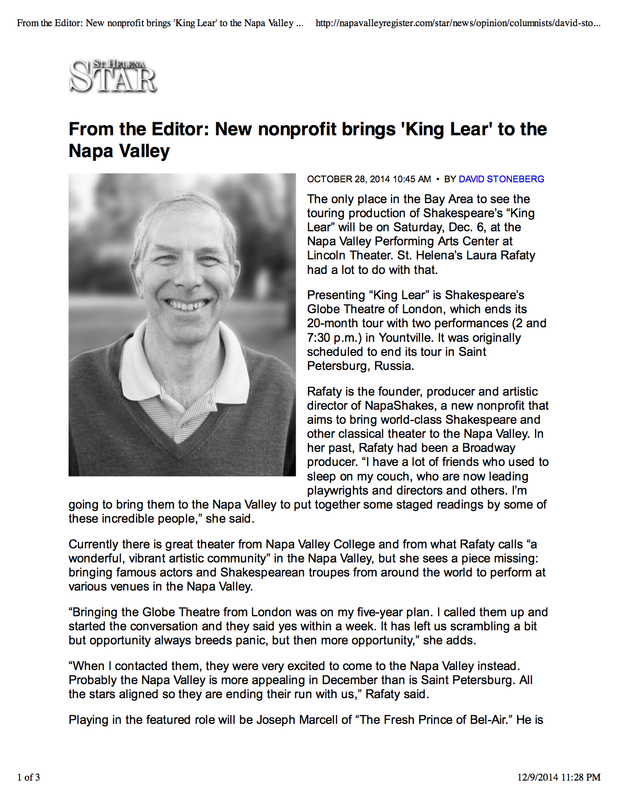 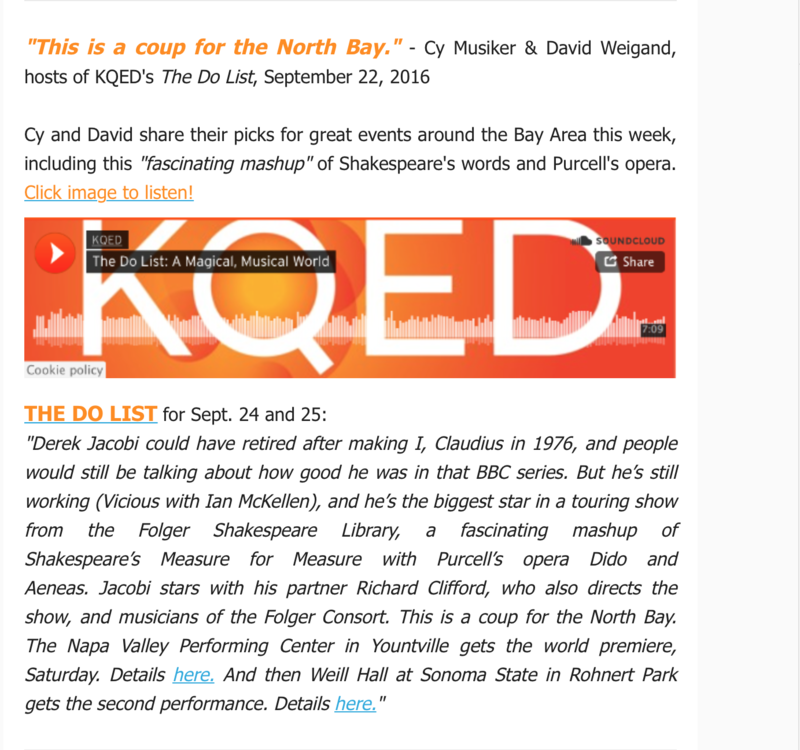 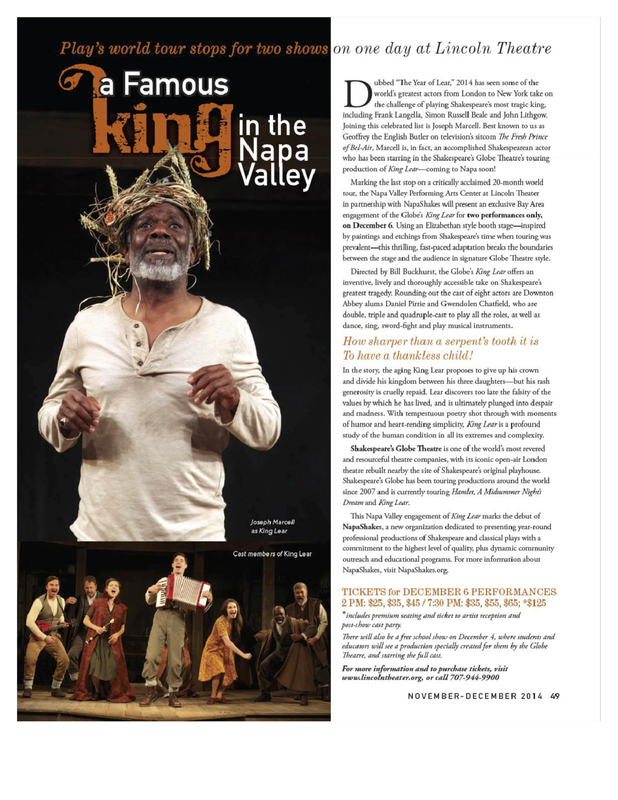 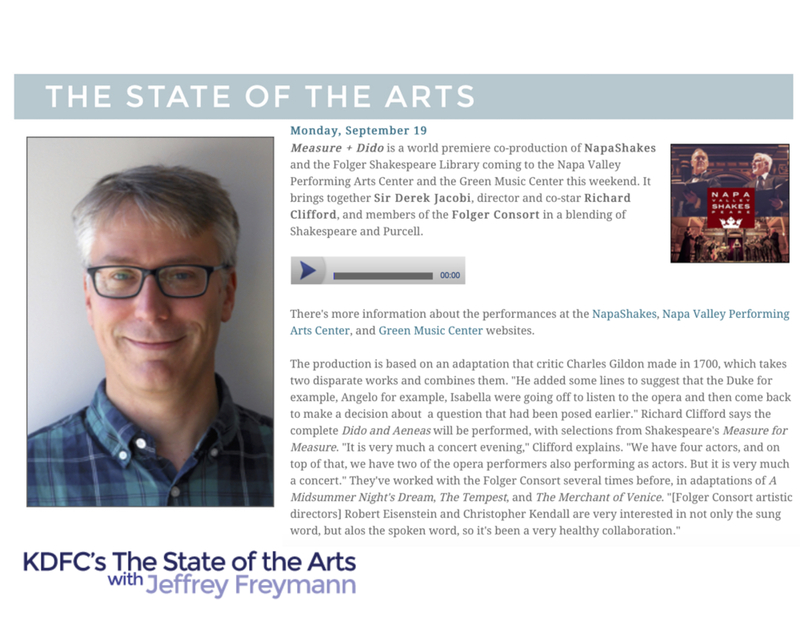 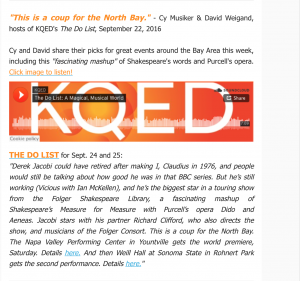 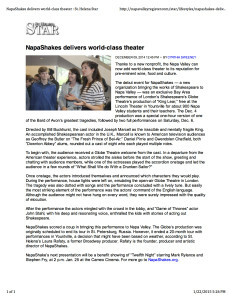 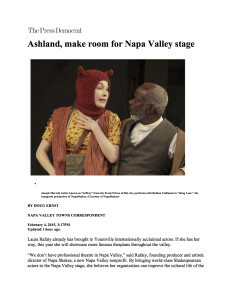 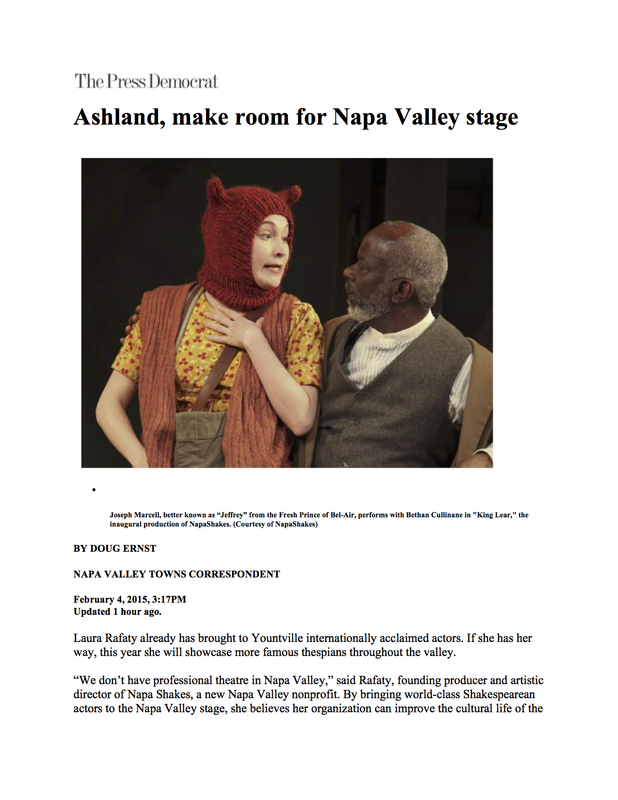 The San Francisco Chronicle dubs NapaShakes’s presentations of Shakespeare one of the Top Ten Reasons to Visit Napa Valley Now! 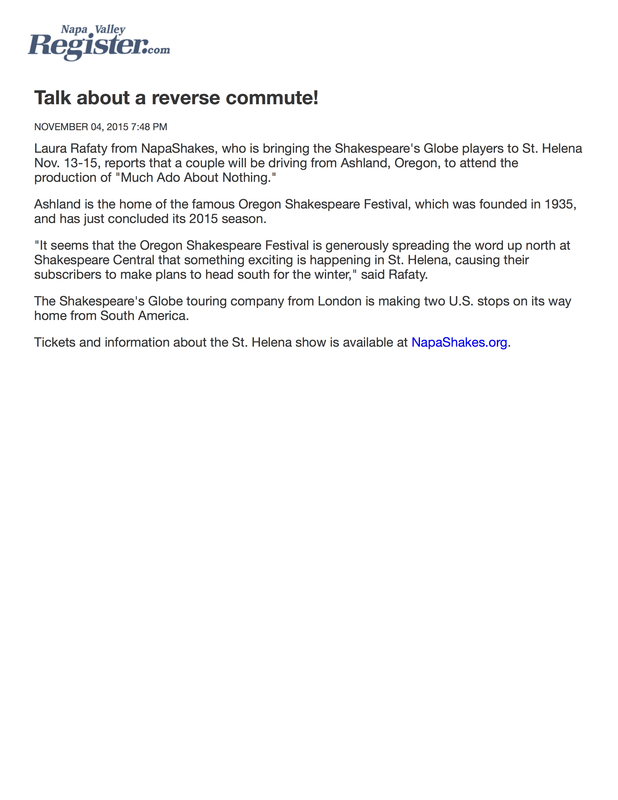 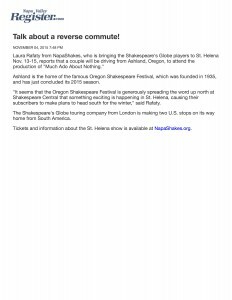 Talk about a Reverse Commute! 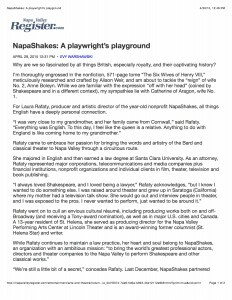 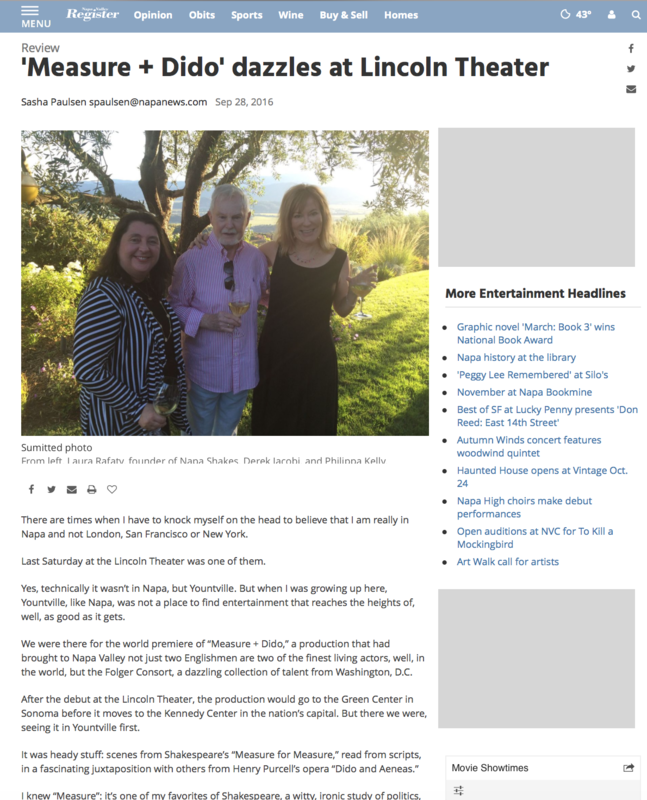 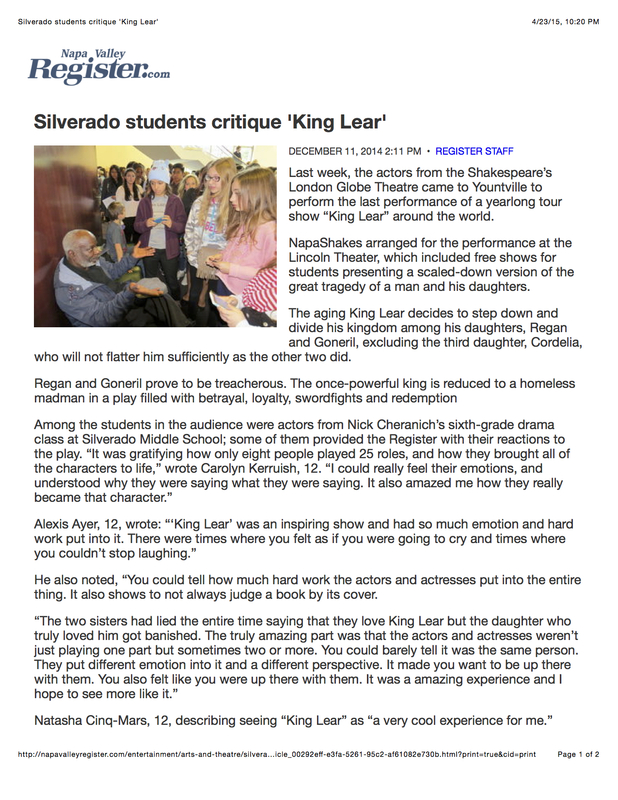 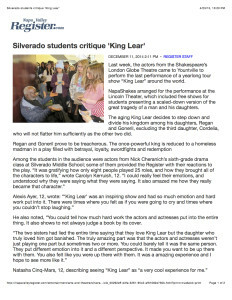 “Laura Rafaty already has brought to Yountville internationally acclaimed actors.